setting: backyard afternoon party, casual food and activities set-up. decorations: lots of giant balloons, bunting banners over the booths and around the tables. 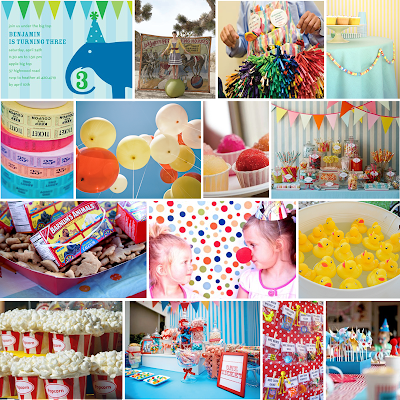 if space allows, set up a 'big top' style tent by draping fabric over food area or just above the candy table. 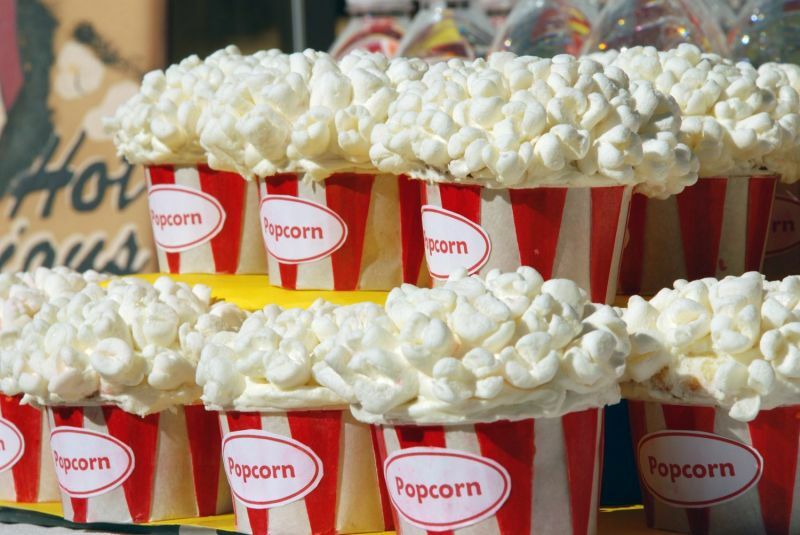 food: hot dogs, hamburgers, popcorn, animal crackers, and a dessert station with cupcakes, lollipops, rock candy etc. also include a photo booth with dress up props, and face painting. activities: what's a carnival without chances to win a prize? give out tickets at the beginning of the party and have an assortment of games set up such as ring toss, milk bottle baseball, ping pong goldfish bowl toss, bobbing for apples etc. set up a wall of small dime store prizes and let the winners choose. favors: give out the goldfish bowls from the game and have goldfish ready for each person to take home. or for a simpler favor, just let everyone make their own bag of sweets from the candy buffet. Looks like fun! I agree: big balloons are a must. I love all the colors in this board! Lovely board darling, bright and bold colours, very nice indeed. Have a lovely week. How fun! I love the board! Perfect choices. Vibrant colors and it just looks like such fun for kids and adults! How cute are those rubber duckies.